I’m suddenly obsessed with making a dress. Not just any dress – one I dreamed of. It was almost backless, with capped sleeves, relaxed twirly skirt. In the dream it was made mostly in one piece with a bit of sewing of seams. Like most dreams, it looked so easy to make! But while sketching the dress I realized it would be a huge project. Was I willing to invest a lot of time and effort right away? Not really. Also, I wasn’t too sure about the backless dress logistics, what if it drooped in the front? My solution would be to use lace crochet for the entire back. Lace crochet creates an openwork fabric that is made up of spaces, or skipped stitches. 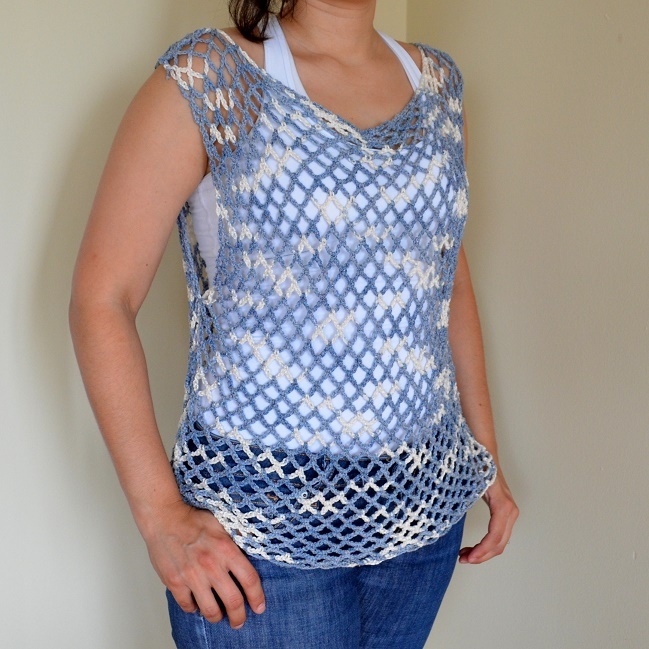 The designs can be simple, like the mesh summer top. Or the patterns can be more complex with carefully placed stitches that form an elaborate design. Lace crochet can be worked in rows or rounds and can be used for so many different projects, like a beautiful dress. Or a mandala, table runner, curtain, jar cozy, wall art, etc. Here is where we begin to tread into unknown territory. 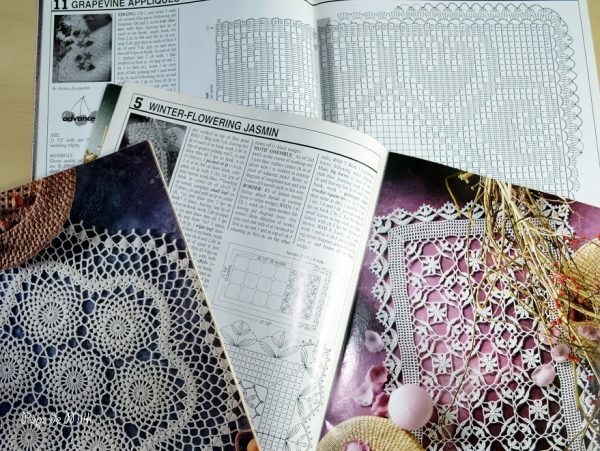 Though, as you can probably guess based on my collection of magazines, lace crochet is something I know about and have briefly tried, once or twice. But design? It’s here!! Creature Feetures is here! Liked it? Take a second to support Patricia Castillo on Patreon! I love lacy crochet things! I’ve had my eye on this DROPS Design lace dress for a little while (http://www.garnstudio.com/pattern.php?id=7376&cid=17). I look forward to seeing what you come up with! The more lacy stuff, the better!